Eye-catching animated motion LED sign for any nail salon business. 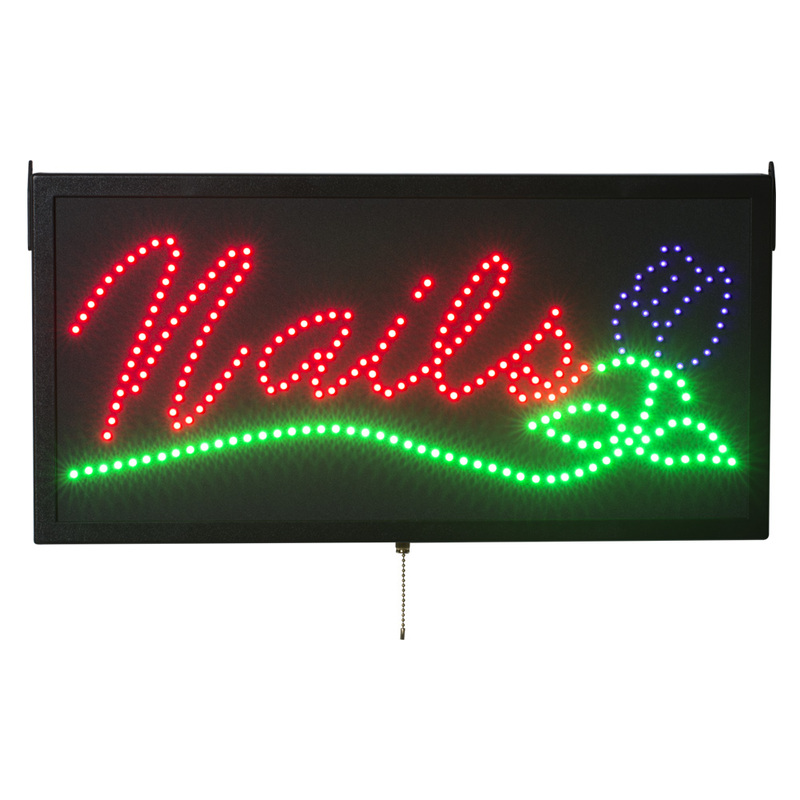 This LED Nails Sign is visible in bright days or dark nights. Radiant LED lights in red, green and violet blue colors offer 3 types of light patterns: chasing, flashing or constant on.